MWM NEWS BLOG: Featured. IdeaFixa #11. Desire. 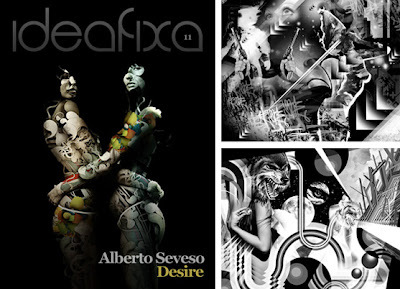 Ideafixa is an art/design web-magazine based in Brazil. Issue 11's theme is "Desire". Check it out. Five of the B/W Collabo pieces Spaceknuckle and I rocked last year are featured alongside some very talented international artists. Great issue! Thanks guys and gals of Ideafixa. Obrigado!